If you wish to purchase a bus ticket for George Ezra in Independent Park Cork instead Click Here. 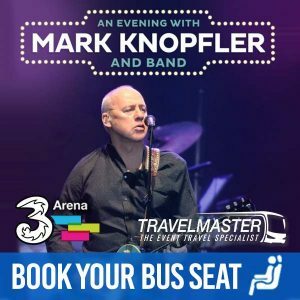 Through Travelmaster, you can purchase tickets for Bus to George Ezra Malahide Castle from the following 16 counties: Cork, Kerry, Waterford, Tipperary, Limerick, Kilkenny, Carlow, Laois, Galway, Westmeath, Meath, Sligo, Leitrim, Longford, Mayo and Roscommon to the Malahide Castle because TravelMaster provides an easy and smart way to travel to concerts &events – since seats sell quickly, don’t delay and book today! How do I buy a ticket for a bus to George Ezra Malahide Castle, Dublin? 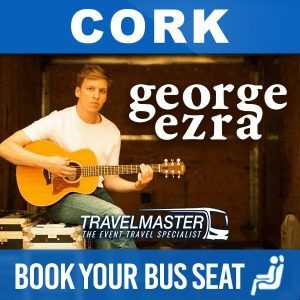 Why should you use TravelMaster to travel by bus to George Ezra Malahide Castle? COMFORT: You travel safely in comfort and as a result, you arrive refreshed to enjoy the George Ezra event. ENJOYMENT: Finally, we take the stress and hassle out of concert travel! Sit back and relax! We get you there and home, so you can just sit back and enjoy the trip to George Ezra Malahide Castle.